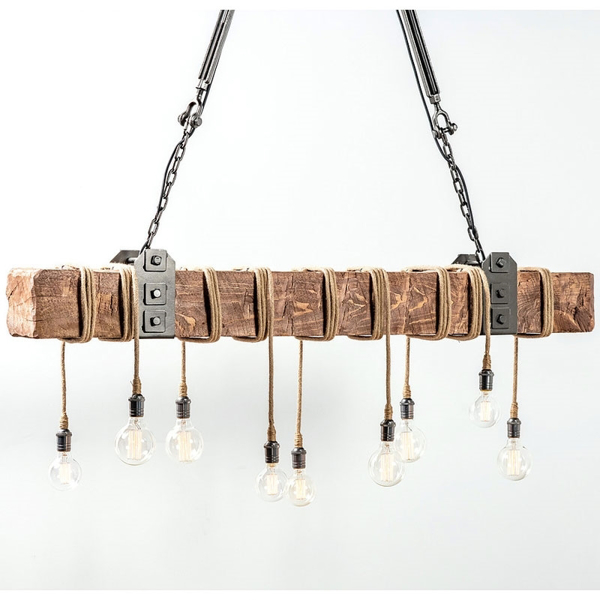 This beautiful light hangs from open body turnbuckles and hand-forged metal brackets. Hangs to a single canopy and includes vintage Edison bulbs. Hangs from 12' chain. Dimensions: W 60" x D 6" x H 6"